With better technology, cars are now more aesthetically built, sound better, sleeker and are more fuel efficient and safer as well. There are a number of things which add to the safety of a car and its occupants. There are cameras fitted in which provide not only sophistication but provides the driver with an extra pair of eyes and the driver is able to see views that he or she would naturally not be able to see. Some of these cameras are so fitted that they even enable the driver to see in the dark. Reversing camera is also known as parking camera and they have a dedicated screen on which they display the images, or use the rear view mirror to do so. Some of them have an infotainment screen where the details are displayed. Careful reversing is possible only when the driver has an unimpeded view of what is behind him or her. These cameras have wide angle lenses which give a view of the area that is behind the driver and it is pointed towards the ground so that small objects lying on the ground are not run over. There are reversing cameras which superimpose the guidelines which help drivers to park easier in spots where parking is tight. Reversing cameras are more useful in SUVs and large estate cars. The reason is when the driver looks over his or her shoulder when backing up in a parking lot or when backing against a concrete block, objects tend to disappear into what is called a blind area. 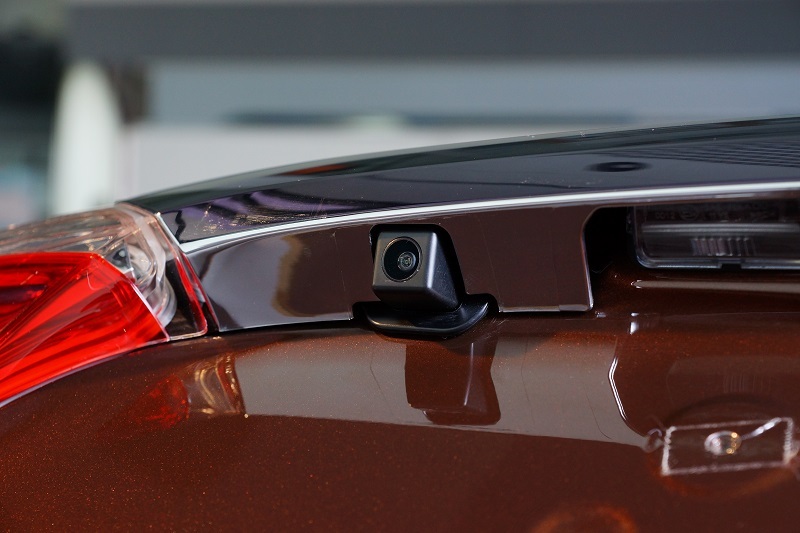 The reverse camera helps in these cases as they help the driver to see how close the vehicle rear bumper is to the objects in question. The view is distorted but it still is more helpful than looking over the shoulder. 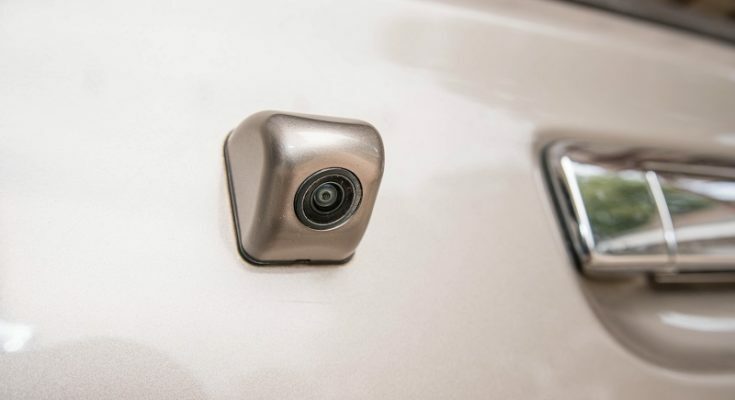 The reversing camera helps to ensure the safety of pets as well as kids who are both low and remain out of view when you are backing up the car in the driveway. These could potentially even save the lives of the pets or kids. While in traffic, when a car in front needs to back up, your car needs to back up as well. In such scenarios, you could be worried that the car in front may hit your bumper, or you may hit the car behind you as you reverse. Backup cameras make this hassle free. These help to prevent damage to your car and to the cars around. It is used to judge the distance between cars as well as objects. It is a safety addition which is most effective in tight parking spots. This way, when used, the car will not even so much as graze the other car. These reversing cameras are not limited to driving in the daytime as they use infrared LEDs so that night vision is granted and you are provided a viewing distance of 25 feet in the dark. This is great as it is supplemental vision for the driver. The features of the cameras are that they provide up to 170 degrees field of view, they are wireless and have digital wireless signals, they have scale lines for distances as well and some have a wireless range of 1000 feet. These cameras are rugged and durable. They are also water proof and even work perfectly in low temperatures of -40 degrees Fahrenheit. These are simple to mount and are attached to the bar which is used to screw the top mounts of the license plate. These need a small hole to be drilled behind the license plate and it runs a cable from the camera to the transmitter which is in the trunk of the car. Reversing cameras have certainly enhanced the skills of drivers and freed them of a lot of worries. These have primarily made cars safer todays! My name is Lara Buck. A knowledgeable and qualified blogger. Here you can see my skills which gives you brief ideas on understanding all the concepts with different themes.